It is the last day of winter on my part of the marble. The bitterblooms have entwined themselves tightly around braziers, and frost flowers have survived through the chinks in the wall. But, this too, shall pass. Tomorrow brings spring, and with spring we get the bloodblooms and sentient trees. The Fattest Leech blog is one of many in the fandom working to unravel the clues to A Song of Ice and Fire, however, these listed below are far better at it then I. There are plenty of big name theorists out there, but here are a few other sources that are filled with quick wit and deep analysis deserving of your attention. Let your garden grow by reading these fertile ideas based on A Song of Ice and Fire. Like them, subscribe to them, share them. The Night Lamp theory in a nutshell:Stannis used to be the Master of Ships. This means he dealt with maritime law, crime, etc. He was called upon at least once to deal with people who repeatedly used a trick to purposefully wreck ships. They would extinguish the fire from a ‘known good’ beacon and erect a false beacon somewhere else. This would cause ships to crash because they were lured into rocks or something like that.Stannis is going to use this trick against the Freys. Stannis is currently stuck at a village in the woods between two lakes. His men have been carefully digging holes around an island in one of the lakes.He knows that the Freys will approach a certain way, expecting to use a narrow land bridge to access the village between the lakes. Reading George Martin’s “A Song of Ice and Fire” can be like looking at a tapestry of the middle ages that features central figures in action, a few witnesses in the background, but also meticulous details of flora and fauna. Once you look beyond the main image, and concentrate on all the tiny details you notice the creator worked in some elves dueling with each other, and some dark figure hiding behind bushes, a fox catching a hare, seemingly all unrelated to the main figures and story in the forefront. We can dismiss these almost hidden scenes as unimportant, mere detail to build the background world. But it takes more hours to work in all those details than it does to weave the main scene. Then we notice the fox sigil embroidered on one of the main figures and start to consider that maybe it is not as unrelated as we first thought; that it actually may be telling us something more about the main figures. Once we understand and can make associations the tapestry gains layers of depth that sheds a new light on the whole. It does not change the story, but it makes it so much richer, renders clues, and interconnected. Val vs Melisandre. Artist Morgainelefee. I have taken that idea a step further, and propose that this Volva/Vala role is already out in the open in the books. Vala were basically witches & there is an in world parallel to witches being made in these books. Woods Witches. The use of the word witch for a start; the role described is the same basically as in our own history ie: A woman who provides basic medical care via Herblore. Whom you might go to for an abortion, or for help during a birth. Who might make you a love spell or an ill-wish? Who might claim to have the ability to scry, or see? etc. This is basically who & what the Vala/Volva were too. In fact, you even find the Vala being referred to as witches when you read accounts in different languages, such as the Roman accounts. And when you look at the role of Volva/Vala in Norse culture,that of the Witch in the rest of pagan European culture, and what became of it post Christianisation it is basically the same thing. They even carried wands! The Rag Tag Band of Misfits project is the idea that there are different motley crews coming together in ASOIAF to move the plot and characters forward. Some will win, some will lose, some will probably fall apart. My contribution to the project is the Valed Rag Tag Band, Sansa’s rescue team. Shadrich, Morgarth, and Byron or The Three Hedge Knights: Howland Reed, Elder Brother, and Sandor Clegane. Their Gallantry is Yet to be Demonstrated: The Winds of Winter Prediction that a glamor spell disguises the Beast as a Beauty. Pawn to Player Project Male Influences: Harrold Hardyng. A full detailed character analysis of Harry the Heir and his role in Sansa’s story as of TWOW sample chapter. Covers his place in the overall plot, what he represents thematically, his relationship to other characters, comparisons and contrasts to other characters, how he fits in the Beauty and the Beast theme, and most importantly how Sansa applies her knowledge and experience with Harry. The Pawn to Player Project is an excellent resource for all things book!Sansa. Our first task will be to bring to light many, many elements in the background. Some go back to the dawn of times, others are simply the hidden motivations of certain characters. As we will see, even among totally silent guests, among unnamed characters, some came to the Winterfell wedding with a long story. We will examine lesser mysteries as thoroughly as possible: the identity of murderers, the role of shadowy characters, and our understanding will lead to new questions. Mundane events will be shown to be startling. And a story will be proposed to explain the final letter. But true? What is true in fiction, after all? This essay will discuss the theme of how women on Planetos are silenced. Below, we will examine the group of women called the Silent Sisters and how their organization has been used as a penitential dumping ground for certain types of women, discussing cases of actual and suggested use of force against these women. We will inspect the treatment of some of the more outspoken women in ASOIAF and how it relates to the theme of silencing, then we will move on to examine how certain professions have caused women’s thoughts to be ignored and in effect silenced. Lastly, we will focus on commonalities between these groups of women. I would like to note that there are many examples of men being silenced throughout George’s work, but for the sake of brevity and for cohesiveness, I will keep the focus of this essay on silenced women. Spoilers, profanity, and discussion focused on Jaime x Brienne. Few works of literature are as dear to my heart as J.R.R. Tolkien’s novels, collectively forming ‘the Legendarium‘, and George R.R. 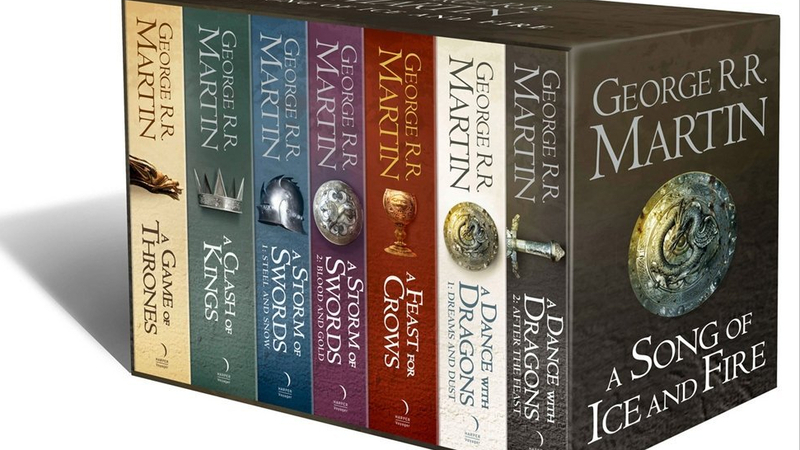 Martin’s literary saga, A Song of Ice and Fire, and its companion books, such as The World of Ice and Fire and The Knight of the Seven Kingdoms. My blog and this particular essay are dedicated to exploring those rich ‘secondary worlds’, and primarily their mythological, literary and historical inspirations. The text you are presently reading was created because of my deep admiration of both aforementioned authors, their literary mastery, brilliant storytelling and enthralling worldbuilding. As you read, some theses and conclusions I’m going to present might seem incorrect or unfounded, but I hope to provide you with enough evidence of my arguments, so that you can understand my position, even if you disagree with it. After all, only GRRM himself knows which aspects of his own world were inspired by Tolkien. Rusted Revolver, on Twitter, but his essays analyzing wordplay which stems from the Celtic word, druid are WRIT IN TRUST. M Tootles and his “Total Horseshit Analysis of A Song of Ice and Fire by a Devious Little Pork Chop”. Great work regarding the Greyjoys. . Find his thoughts here on Reddit. Please read Wizz-the-Smith‘s essay regarding hollow hills in ASOIAF. I can say for sure that this theme is also carried on throughout much of GRRM’s works. You can also find Wizz on Twitter. This is certainly not a complete list of all the toilers out there. If you have any to share, please do so in the comments below.